If you’re searching for reputable eye doctors in Cambridge, MA, Parrelli Optical is here for you. At Parrelli Optical, patients will be able to choose from a broad array of independent optometrists. In many cases, diminished vision can be corrected with refined surgical techniques. Patients will soon experience excellent vision once again. 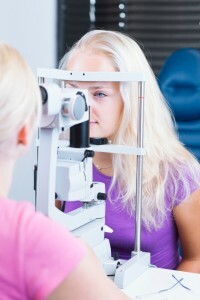 All optometrists at the facility are courteous, skilled, and experienced. Patient comfort is always a high priority. Any abnormalities will of course be noted. If other medical maladies are discovered, patients will be sent to a general practitioner. In some cases, eye doctors can detect signs of high blood pressure and high cholesterol, which would necessarily mean that there are other underlying health issues present. Some patients might also be looking for protective glasses for their athletic endeavors. Individuals who play basketball, baseball, soccer and other sports, may find contact lenses too bothersome. Eye specialists will be able to craft prescriptive lenses that can be inserted into stylish frames. Welders and factory workers may also benefit. While people with blurred vision will clearly benefit from a trip to the optometrist, men and women who are not currently experiencing any problems should still receive routine screenings. This way, minor health problems can be caught and treated before they progress. When searching for reputable eye doctors in Cambridge, residents can always count on Parrelli Optical for stellar service and reasonable rates.